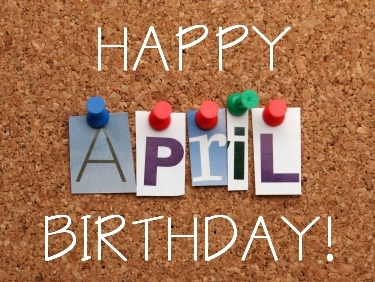 Happy Birthday April Members !!!!!!!! Happy Anniversary To Jo And Van Gibert, They Will Celebrate 35 Joyful Years Together On April 15th !! Steve Gilman Celebrates 8 Years With Our Rotary Group April 30th! !